Leading electronic music acts have joined forces to help save an education charity that faces losing its home. Music and Arts Production (MAP) in Leeds gives opportunities to young people who are excluded from school to gain qualifications in creative arts. It is trying to raise £900,000 to refurbish the site as part of efforts to save the venue from redevelopment. Gilles Peterson, Four Tet and Floating Points are among the acts who have given time and money to the initiative. MAP, based at Hope Foundry on Mabgate for more than a decade, offers vulnerable teenagers a chance to achieve qualifications in creative subjects outside of mainstream education. 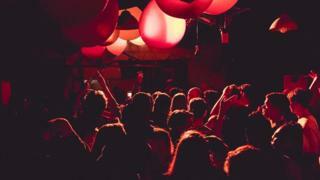 DJs who have put on dance nights under the name of Cosmic Slop, have rallied to invest in the building before its tenancy ends in October 2019. Musician Floating Points says it gives artists like himself a chance to use their art form to benefit a wider community. "Dance music and clubbing culture is a powerful force in creating change," he said. "It's so important spaces like this stay open so they can continue transforming the lives of the next generation of young creatives." Radio-host Gilles Peterson has invited Cosmic Slop DJs to support MAP at his Cambridgeshire festival We Out Here in August. "I'm amazed by the way MAP charity runs. It has incredible commitment and energy," he said. Kieran Hebden, who performs as Four Tet, also donated the revenue of his headline Warehouse Project show to MAP. Taylor Hogan, 18, is now a professional filmmaker and says the charity "turned her life around" after she came to them as a young student. "I couldn't fit in at a normal school but coming to MAP showed me a different path," she said. Landlord John Wright, 50, initially planned to redevelop the Grade II building into luxury flats, but now aims to sell the building to MAP if it reaches its target. "It's important landlords look to embed social responsibility in their legacy, and protect what's special about the communities we operate in," he said.